A visit to Judge David Davis' estate offers a glimpse into the lives of the wealthy and powerful of his day. Davis, friend and mentor to Abraham Lincoln, served as a United States Supreme Court Justice and was a key contributor during Lincoln's bid for the 1860 Presidential nomination. 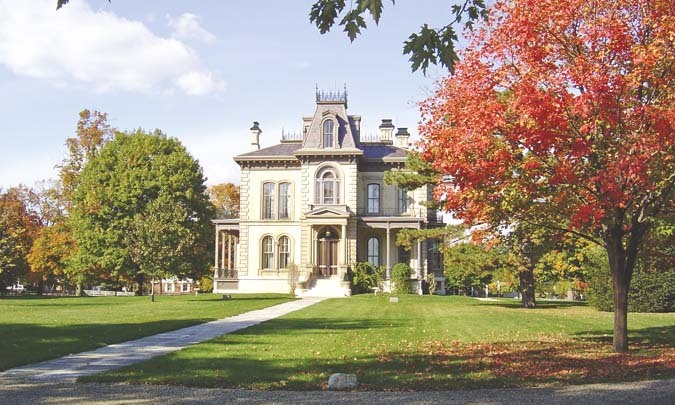 The Davis Mansion, completed in 1872, combines Italianate and Second Empire architectural features and is a model of mid-Victorian style and taste. His Bloomington home, which remained in the Davis family for three succeeding generations, provided a focal point for the social, cultural and political life of the community. The mansion contains elegant furnishings and the most modern conveniences of the era. Call or visit the website for more information.